comment on the Accounting Professional and Ethical Standards Board�s (APESB) Consultation Paper: Proposed Revision of APES 110 Code of Ethics for Professional Accountants.... CODE OF ETHICS FOR PROFESSIONAL ACCOUNTANTS 1 1. PREFACE This Preface has been approved by the Council of the Institute of Accountants in Malawi. 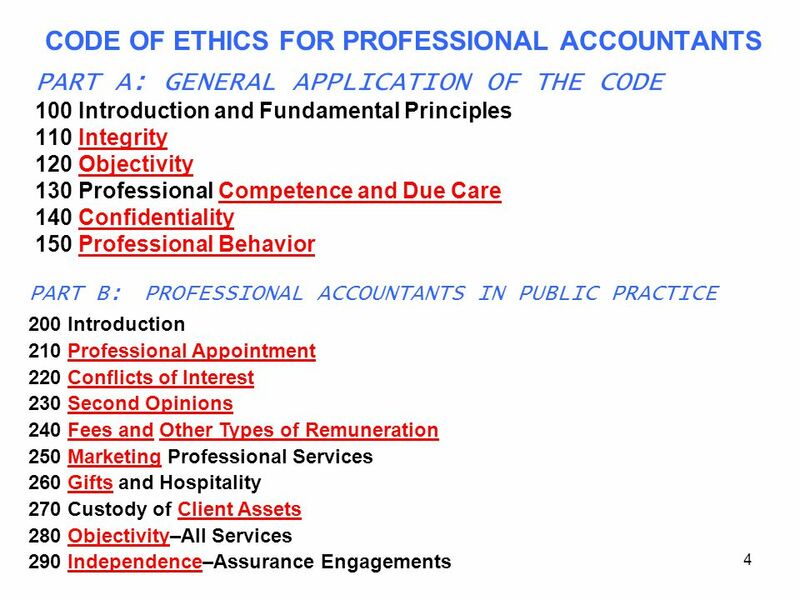 ICAEW�s Code of Ethics is based on the Code of Ethics for Professional Accountants of the International Ethics Standards Board for Accountants (IESBA) published by the International Federation of Accountants (IFAC) in 2009 and is used with permission of IFAC*.